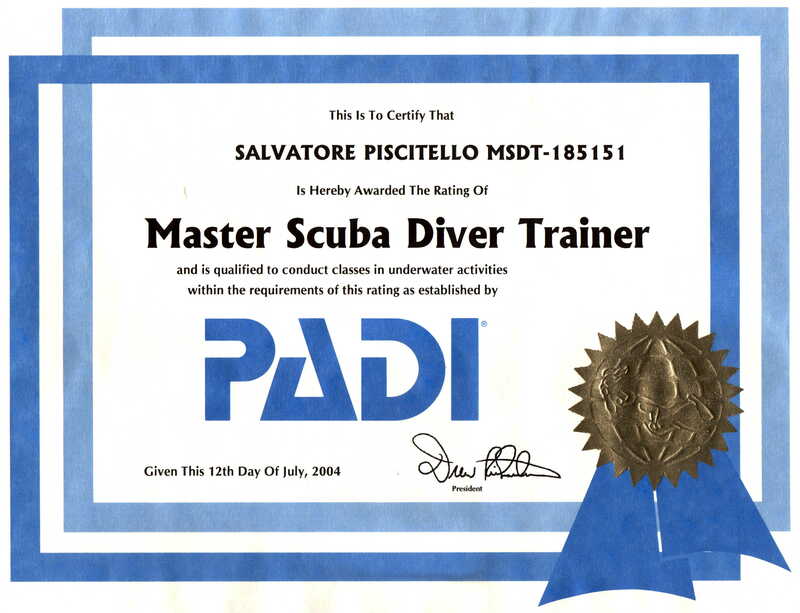 SCUBA diving training, sales, and certification, from entry-level (Discover) classes to professional (Divemaster/Instructor) level. Individualized training on the use of dive tables and dive computers. Instruction in Emergency Medical Care - how to provide Primary Care (CPR) and Secondary Care (First Aid) to those in need. Instruction available to groups from one to 12 people. Seamanship training, including familiarization with boat handling, laws and legal requirements, electronics, instrumentation, reading nautical charts, compass, and GPS use. Programs include all training and testing necessary to meet Ohio's Mandatory Boating Education requirements. Home computer system setup and maintenance, including selecting, buying, installing, configuring (both hardware and software) and running your new (or old!) systems. Have a cable or DSL connection you want to share among several computers or family members? A wireless router or LAN you can’t get working or on which you want to enable security? A new scanner or camera you just can't get to work? A computer full of spyware that you're ready to toss out but you've got to have fixed? Let Sam show you how - it's easy! Set-up, programming, and instruction on the use of cellular phones, SmartPhones, PDA (Personal Data Assistants) and Converged (PDA-Phone) devices, both Palm and Windows Mobile 2002/2003/WM5 based. Desktop and Wireless (Wi-Fi, Cellular, EVDO or BlueTooth) synchronization set-up and training. As principle of Sea-I-T, LLC, Mr. Piscitello brings several unique talents and abilities to the organization. 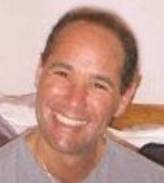 He has been an avid SCUBA diver for over a decade, diving in such diverse locations as the Red Sea, Belize, Honduras, Costa Rica, and the Great Lakes (Lake Erie). 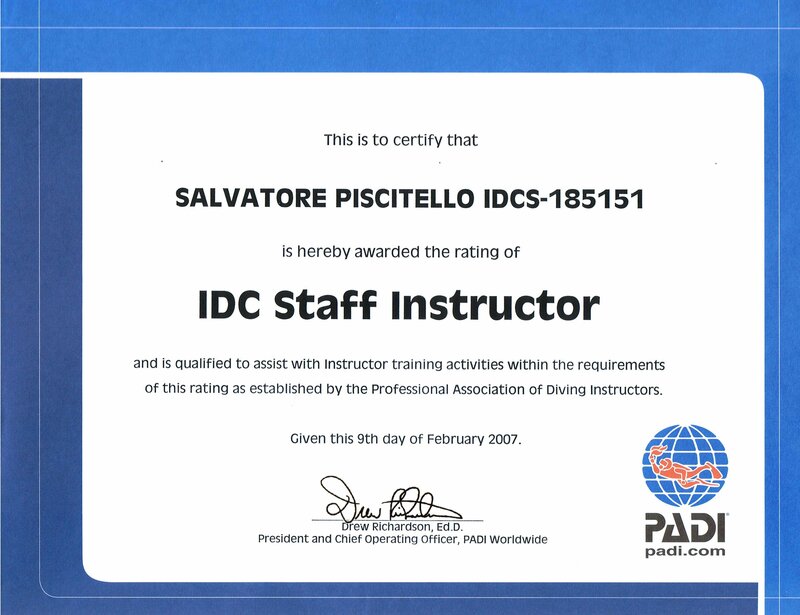 He is a certified PADI (Professional Association of Diving Instructors) Master SCUBA Diver Trainer (MSDT) and IDC Staff Instructor (IDCS), conducting lessons both privately and through the Just Add Water SCUBA Center in Willoughby, Ohio, and is certified as a Primary and Secondary Care Instructor/Trainer by the Emergency First Response Corporation. Sam also holds a USCG (United States Coast Guard) 50-ton Master of Steam captain's license (with a towing endorsement) and an OUPV (six-pack) charter license. During the summer months he captains the Express and the Linda Mae, 36’ and 40' Lake Erie charter dive boats owned and operated by Discovery Dive Charters, located in Wildwood Marina in the Cleveland Lakefront State Park. Sam was also the creator of the Davis Instruments-based Weather Station located at Wildwood Yacht Club. Sam is certified by the State of Ohio as an Ohio Boating Education Course (OBEC) instructor, teaching NASBLA (National Association of State Boating Law Administrators) sanctioned courses that meet Ohio's new boating certification requirements. When not wet, Sam serves as Director of Engineering for the VAC Division of Multi-Dimensional Imaging, the Medical Device division of the Healthview Center for Preventive Medicine. He holds a Master’s degree in Computer Engineering from Case Western Reserve University with an emphasis in Networking. As a Microsoft Certified Professional (MCP), Microsoft Certified Systems Administrator (MCSA) on Windows Server 2003, and registered Microsoft Partner and Small Business Specialist, Sam has designed, installed, and currently maintains systems ranging from small home networks to large-scale Microsoft(tm) Small Business Server installations. He likes tinkering with just about any type of electronic gadget or piece of software (dive-related or not), and enjoys sharing his knowledge of the technical and the sea with others. Sea-I-T: "Providing a Sea of Knowledge"